This week I have worked a bit on all of the projects. 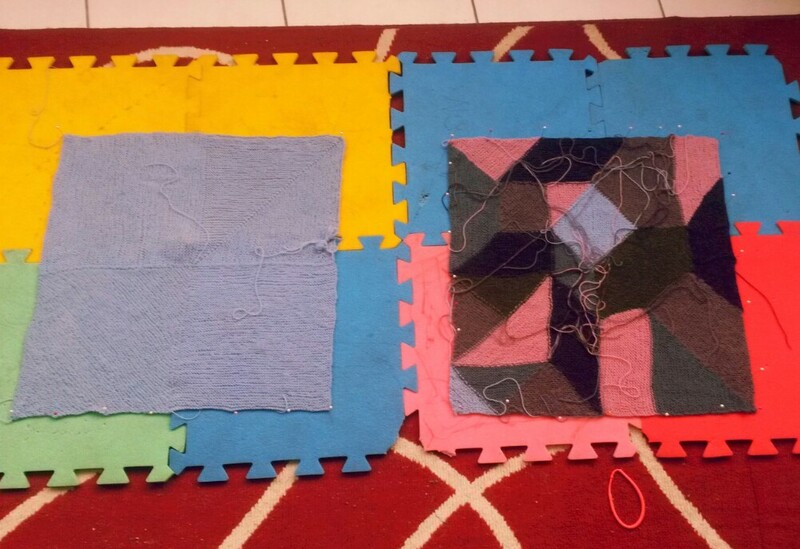 I have bought the zip for the cushion cover and even managed to block the both parts today. I hope to finish it off next week. I think it would look lovely as a top – which would you get the most wear out of? I love the top idea. If it were me and if it were possible I’d do it as a longish tunic, perhaps with unsealed sides. That way I could wear it over sleeveless summer tops and as a beach cover up. I like the idea of a top and it really shows the design over the black. I so love that design but it would be hard on my hands I’m sure….after those bookmarks I did showed me. I can’t wait to see your pillow…..it is going to be lovely I know. I agree, it shows much better over darker colours, contrary to what I expected. I’m sorry about your hands. 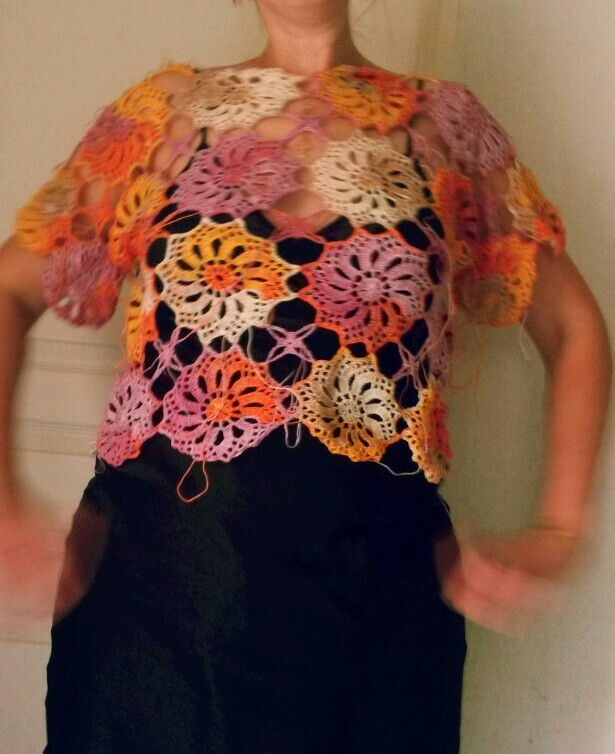 Is it any crochet that hurts? I also think it would look beautiful as a top! Lovely colours. Thanks a lot! It’s great to have some opinions, as I have no one really to discuss my projects with in real life. I think that this would be really pretty as a top. I’m pretty much decided now it’ll be a longer top. The top/dress is looking great! A longer top will be very nice indeed! Great progress, and I think it would look great as a top! Fabulous dress, I am so impressed with your work!